At QS Supplies, we have displayed an exquisite series of shower enclosures, offset shower quadrants, bath screens, shower doors, shower valves and shower sets from Burlington and other brands. 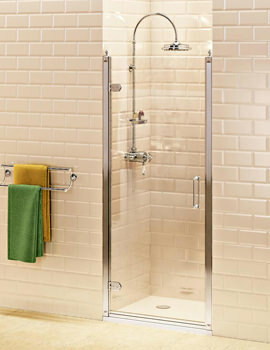 Every Showering element from Burlington educes outstanding manufacturing class and comfort. Available in different styles, the range of shower products in this series can redefine showering. Featuring magnificent sliding doors, bi-fold doors, pivot doors, for recessed, in-line, and various other installations, the company gives you a broad range to select from. 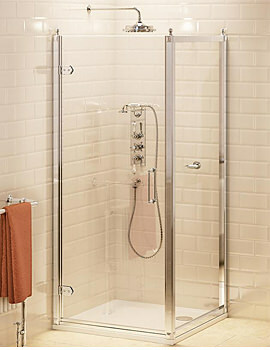 The robust shower enclosures can be availed in a variety of styles. The Shower Valves range features Clyde, Avon, Trent, and Eden from Burlington. These shiny chrome lacquered elements come with handset, hose and valve. The entire series stands tall in delivering euphoric showering moments for many years, without compromising the beauty of your bathroom. Shower Valves displayed below incorporate thermostatic technology, and their versatile adaptability couples well with riser rail kit, shower arm and shower head. Besides being astonishingly stylish, the repertoire proves to be most reliable and long lasting. Constructed from best quality brass, the series carries traditional designs, finished in chrome.